Congratulations! You have just passed the LPI DevOps certification exam. You are now ready for action when it comes to the tool- and tech-side of DevOps. To become an even better DevOps Engineer, there are three topics that will help you during your daily work, but have only little to do with IT: mindset, learning, and communication. As a Linux/Open Source specialist, DevOps can bring a lot of fun to your job. DevOps encourages you to think outside the box and experiment, so its very likely you and your team will deploy (a lot of) new open source tools to see if they improve your application or IT-platform. Although this is, of course, exciting, tools will not solve every challenge that comes across during a day at the office. Technology provides a certain form of comfort. Because you are familiar with how technology works and behaves, you love working with it: writing new lines of code, testing a new release, fine-tuning your deployment scripts, or spinning up you first containers on a K8s cluster. Yep, IT is awesome. As an IT-specialist, you put a lot of effort in automation and improving the company’s IT environment. This way, you help to reduce costs and increase speed. To achieve a true new level of IT-efficiency though, tight collaboration between developers, operations, and the business is inevitable. The true power of DevOps can only be unleashed when the value stream works like a well oiled machine. So, to become a master in DevOps, you will need to master your soft skills. A fascinating thing about us humans, is that we are not very good at changing, despite the fact that change is something we have to deal with every day. And although it would seem obvious that we become better at it as we get older, the opposite seems to be true. Children are amazingly good at change. This is mostly because they just learn by the outcome of all the experiments they do on a regular basis. When we become more conscious of how things work or should work, we are cutting down the amount of experiments and we start to calculate outcomes beforehand, based on intelligence and experience. The expected outcome has a big influence on whether we decide to start experimenting or do nothing at all. So, we basically “rationalize” ourselves out of the change-driven habits of our youth. That’s a pity! With DevOps, its important to restart your experiments. You will need to explore again. You will need to fail (a lot, and fast). And yes, your boss should encourage you to fail, but not punish you if you do. An engineering mindset is about embracing failure and use it to work towards fundamental improvements, instead of only applying band aids. This will be hard and will introduce new forms of risk, but like Alfred said to the young Bruce Wayne in the movie, Batman Begins, “Why do we fall? So we can learn to pick ourselves up.” This is a great recipe for loving change instead of hating it. Since you started experimenting again after reading the previous paragraph, you also started to learn again. Becoming good at your job requires a lot of effort. It doesn’t matter what kind of job you do, whether you are a Go or Python developer, a Linux sysadmin or an Ansible expert, only with hard work and dedication will you master these skills. As many professional sportsmen say, it is hard to get to the top (and win a race or a match), but its even harder to stay there. Because you reached a big goal, maybe the biggest goal you have set in your life so far, its very likely you will lose focus and/or motivation. There are also forces from outside that have influence on your drive, like your (corporate) environment. To overcome this, its important to keep setting and reviewing your goals. This may be a goal that is even harder to reach or requires a new approach, and new skills. It may also be a number of smaller, easier goals that help you develop specific skills. New goals help you to keep making progress. The fun thing is that the progress you make towards your new goal, will most likely also make you become better in other things you do. It will provide you new insights and a fresh look at things. You will meet new people with a different perspective on the things you do. Wow! You are developing an engineering mindset and learning new things! Now, it’s time to help others to learn. Grab a cup of coffee and talk to your teammates or a random colleague about what you have learned or what challenges you are dealing with. Ask them for feedback and listen, to understand rather than respond. Some people are afraid they will not be seen as a specialist anymore when they have shared their knowledge with others (because they will not be the “local hero” anymore), but most likely sharing knowledge will only emphasize your status as an expert because more people will know how much you know! Besides, talking about what you know is also a form of self reflection. It makes your knowledge sink in. This gives your mind room to gain even more new knowledge. Sharing knowledge and communicating with your coworkers requires that you leave your comfort-zone (again) and act in a different way than before. This may sound scary, but its actually quite easy when you start doing it. Look at it as just another experiment. By diving into it, you will make the first important step. After this phase, you will know more about your communicative strengths and weaknesses. It will also give you a good starting point for further improvement of specific soft skills. You might need some help to become better in non-verbal communication or maybe you need some coaching to improve your ability to give and receive feedback. And then, right at the moment you have maxed out your soft skills, you come to the conclusion its time for the next step and you want to level up your game on Docker, Prometheus, OpenStack, or other cool tools that have become available in the meantime. 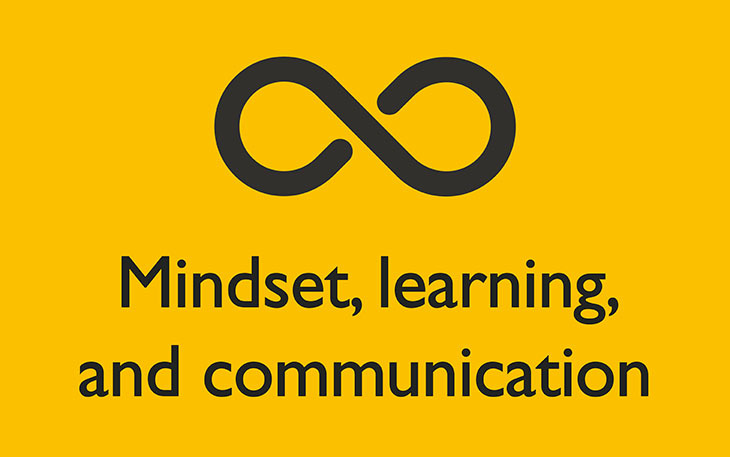 Yes, the loop of learning and improving is infinite. Marcel Kornegoor earned a Master of Arts degree back in 2008 and currently works as DevOps and Cloud consultant/trainer for the Dutch open source specialist AT Computing. Being a technology-addict for almost 20 years, Marcel writes about cloud, DevOps and other IT-related subjects on a regular basis. You can find him on Twitter, LinkedIn or send him a mail via mkornegoor@atcomputing.nl.